Justice League vs the Fatal Five Blu-ray release date was set for April 16, 2019 and available on Digital HD from Amazon Video and iTunes on March 30, 2019. 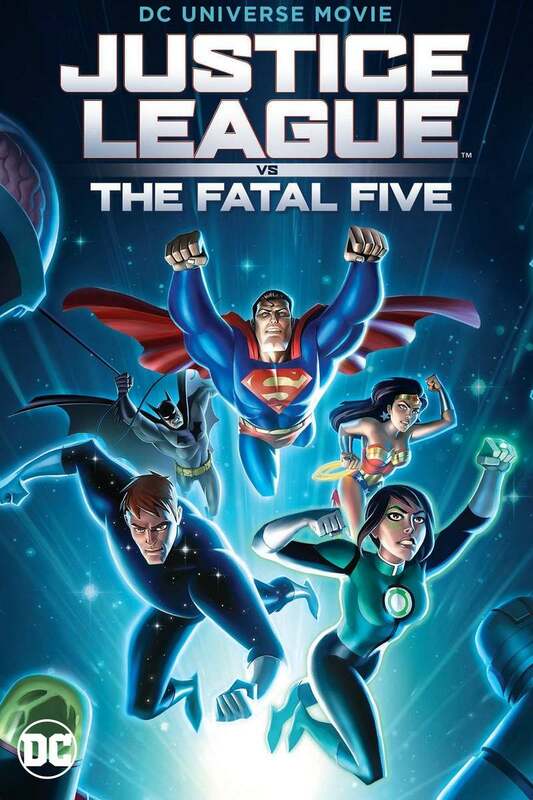 "Justice League vs the Fatal Five" is a return to the DC Comics Animated Universe that took off in the 90s with cartoons such as "Batman" and "Justice League." Set in the same comic-book continuity of these cartoons, this movie follows the further adventures of Superman, Batman, Wonder Woman and more as they face a new threat. A new Green lantern is arriving on the scene and a band of time-traveling villains known as the Fatal Five show up in Metropolis to destroy her. The Justice League must now face this threat with the help of some new super-powered friends. DVDs Release Dates is the best source to find out when does Justice League vs the Fatal Five come out on DVD and Blu-ray. Dates do change so check back often as the release approaches.